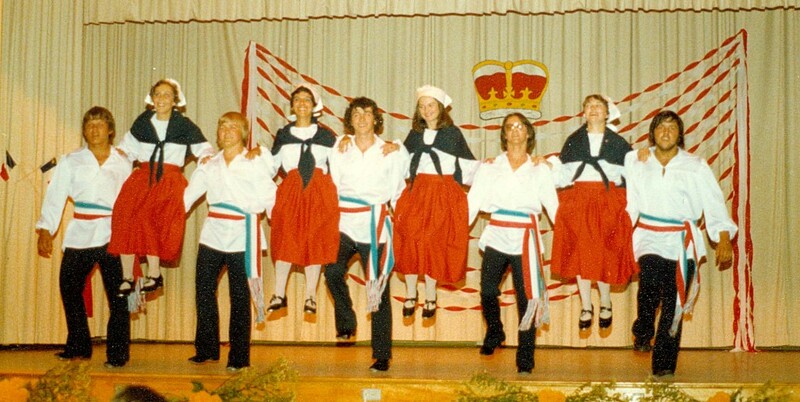 Performances by Acadian dance troupes are a familiar sight in P.E.I. 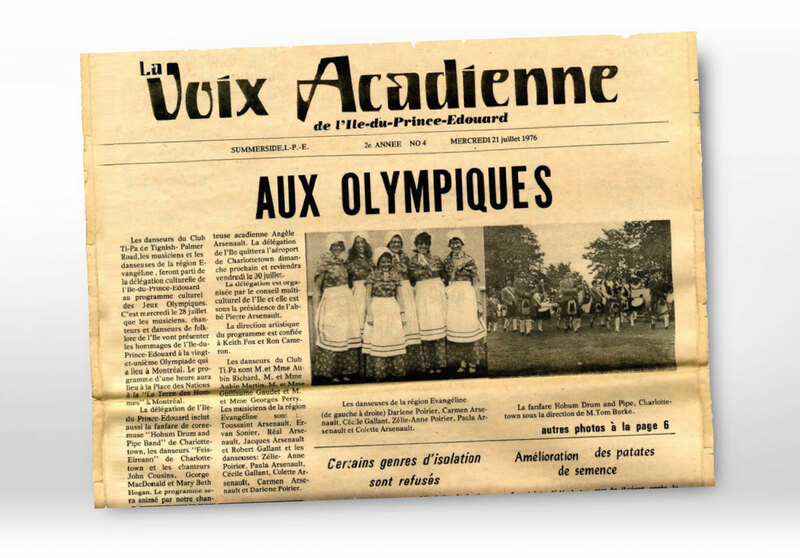 Since the early 1960s, groups of Acadian dancers from la région Évangéline have presented their steps and, in some cases, sets, to audiences locally and around the world. 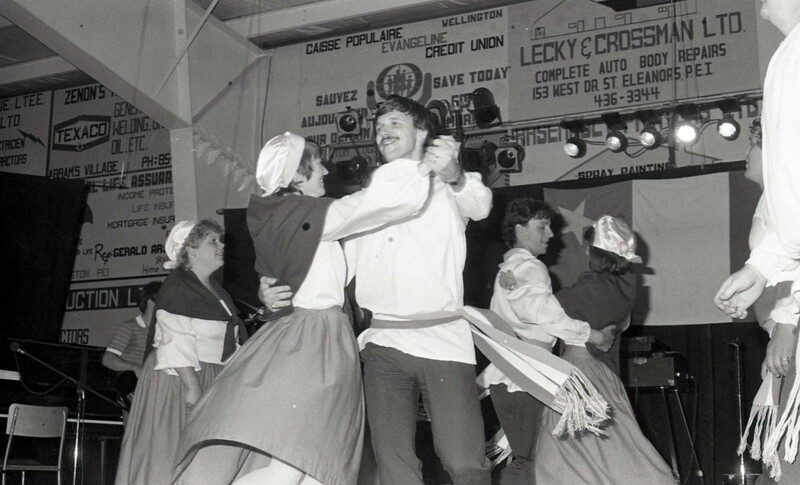 Their repertoire of traditional set dances owes much to the pioneering collecting work of folklorist Georges Arsenault in the 1970s and outside influences brought to P.E.I. 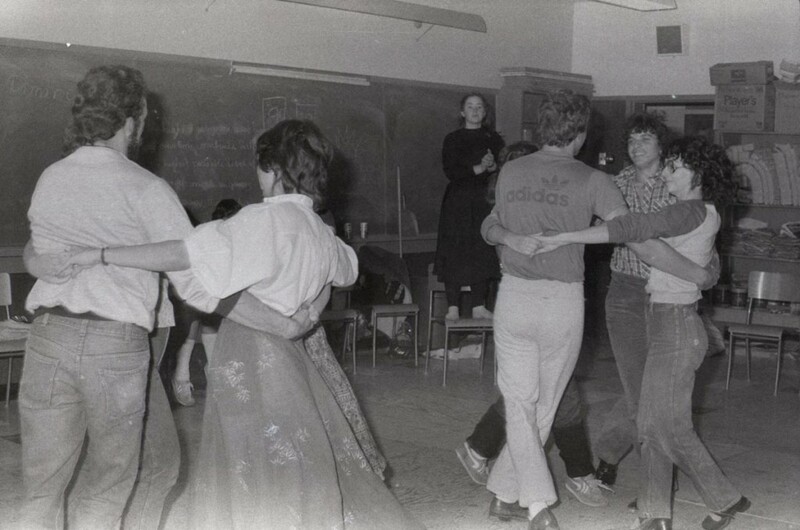 by dance choreographer Sylvie Toupin in the 1980s, as well as the ingenuity of young dancers who continue to bring new flavour to Acadian dancing. A dance trio comprised of sisters Norma, Marie and Dorothy from Wellington, P.E.I. 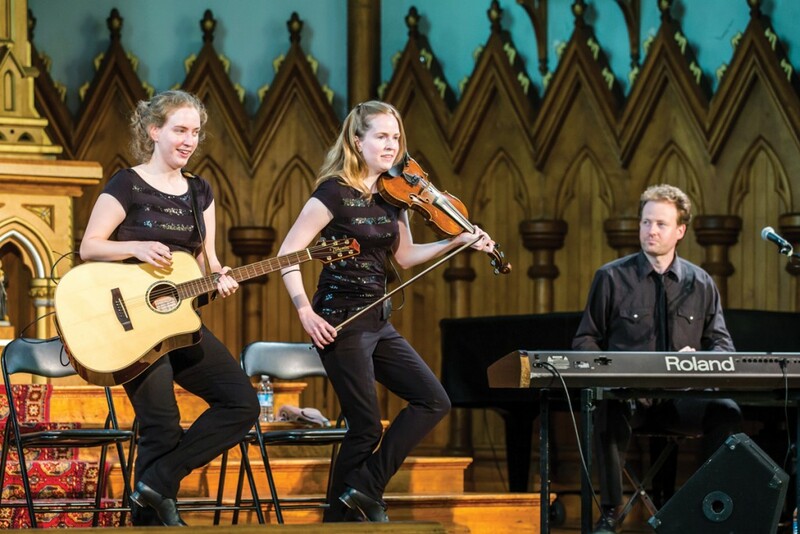 The trio is recognized locally as the first Acadian dance troupe on P.E.I. 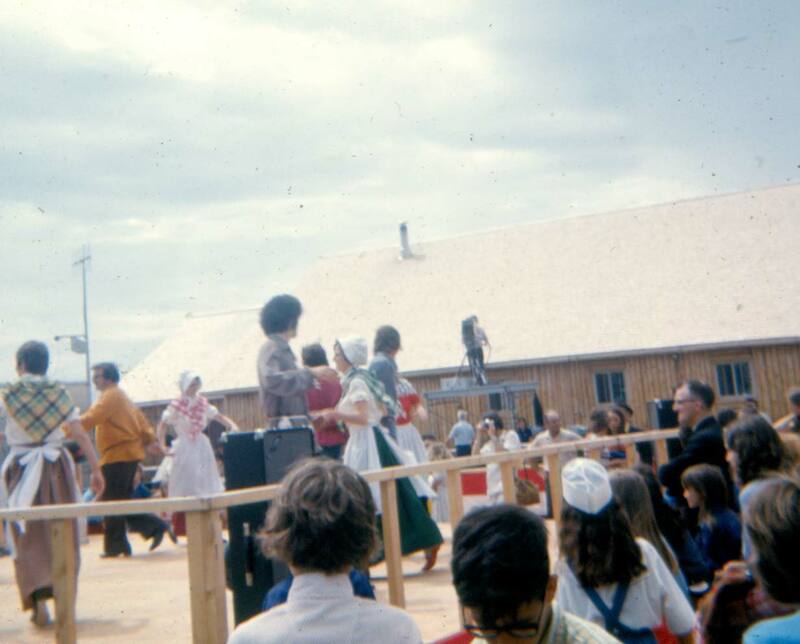 In 1973, as part of the Island’s centennial celebrations of its joining Confederation (1873), Georges Arsenault formed a troupe to showcase Acadian folk dances. Representing the province of P.E.I. at the Festival des arts populaires, held in Montreal during the 21st Olympic Games. 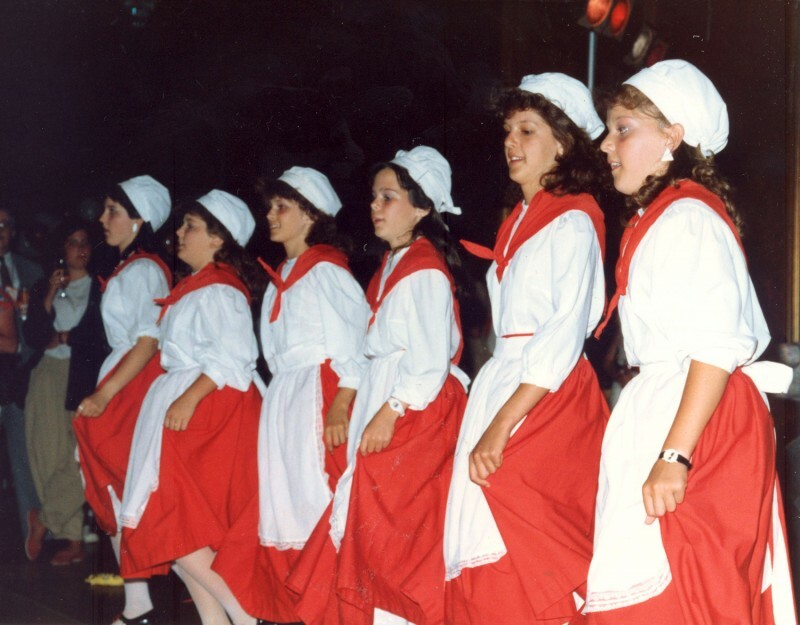 There have been many versions of a “traditional Acadian costume” adapted for performances by dance and theatre troupes over the years. 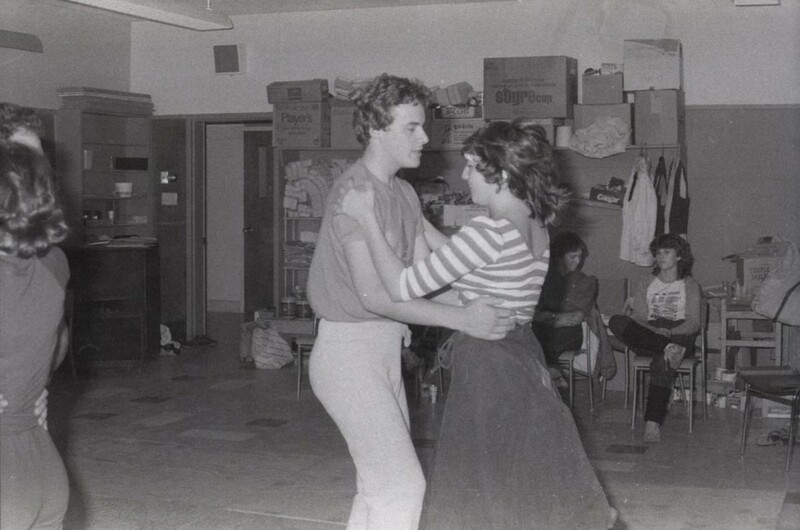 Several members of Les Danseurs Évangéline were among the first people to teach formal dance lessons on the Island. The year 2014 marked the 50th anniversary of dancing for Les Soeurs Arsenault, a dance trio comprised of sisters Norma, Marie and Dorothy from Wellington, P.E.I. The trio is recognized locally as the first Acadian dance troupe on P.E.I. 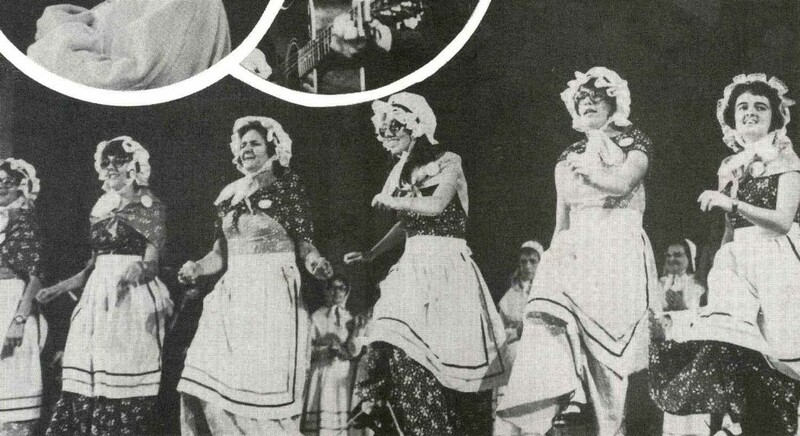 In 1963, their father bought each of the sisters a pair of dance shoes and, as Norma explains, “he told us to learn to dance, so we did.” They learned their first shuffle step from Helen, daughter of the renowned fiddler Eddy à Arcade (Arsenault), during une soirée de musique at their farm home, where musicians and dancers frequently gathered. 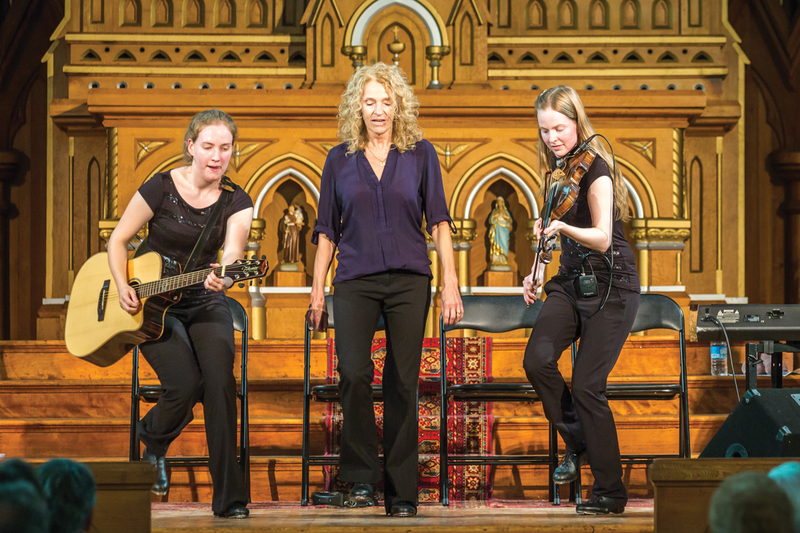 Within a year, Les Soeurs Arsenault were performing publicly. 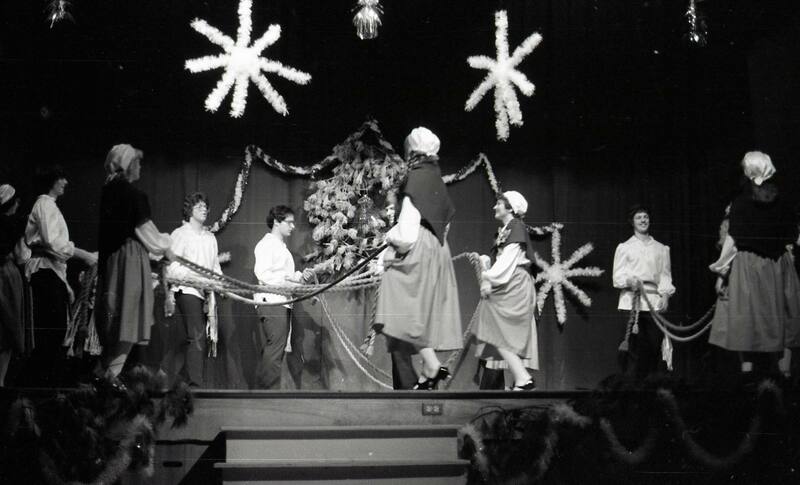 They first performed on stage at the Evangeline High School’s centennial celebration on March 4, 1964, and, from then on, they were often asked to perform at concerts, contests, benefits, and house parties across the Island. As Norma describes, their father encouraged them to wear matching costumes and, today, they own approximately twenty matching outfits. On February 23, 1965, they were guest dancers on the TV show The Bunkhouse Boys in Moncton, and made three appearances on Don Messer’s Jubilee Show in Halifax in 1966–67. They were frequently accompanied by the Warren Brothers. Russell (fiddle) and Reggie (guitar). These step dancing sisters continue to dance, perform at special events and Seniors’ homes, and host ceilidhs. 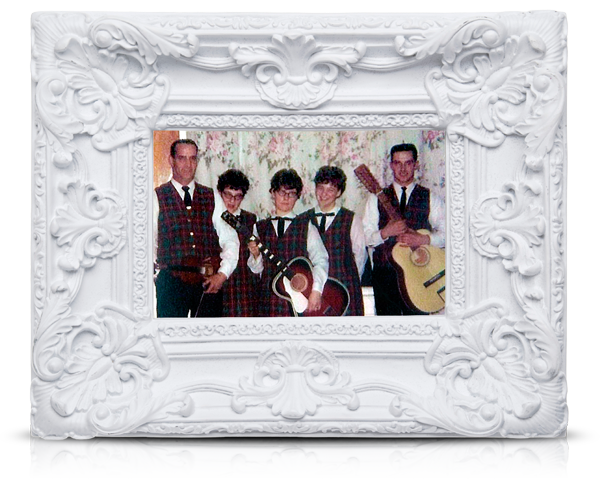 Since 2006, Dorothy and three of her children (Stephanie, Danielle, and Johnny) have hosted ceilidhs every summer as “The Ross Family,” offering up a high-energy blend of Acadian and Scottish stepdance and music traditions. A lot of good fiddlers came to our home to play music over the years. We learned new steps by watching other dancers, when our parents took us to watch fiddling and step dancing contests, which were held in the fall of the year. We then created our own steps. We never had dance lessons. When we practiced our step dancing, we always did it together. That is how we become the first step dancing ‘sister act’ in our hometown. 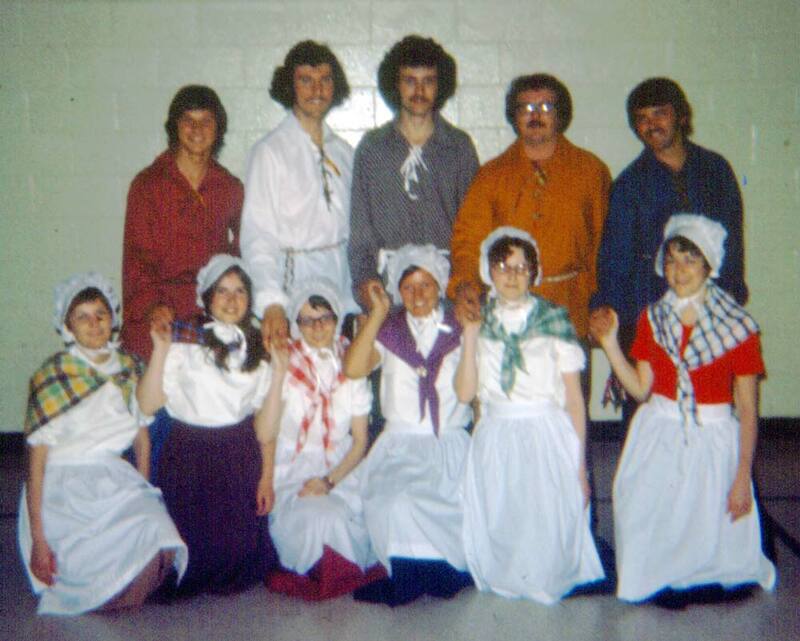 The first Acadian dance troupe on P.E.I. 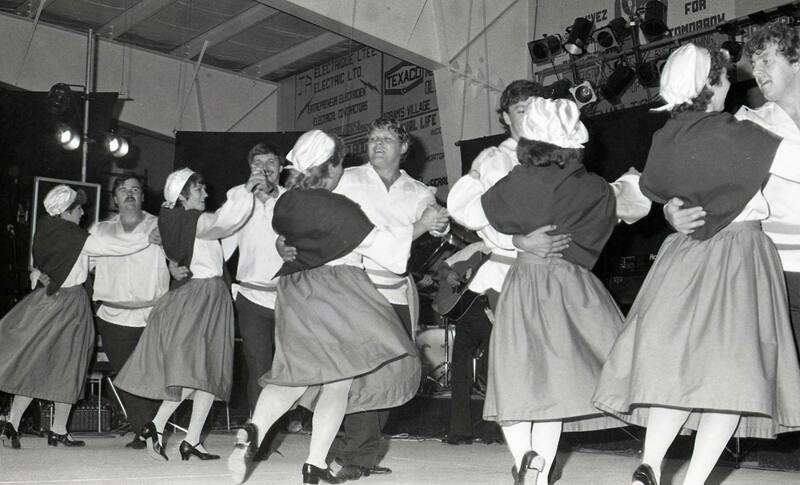 In 1973, as part of the Island’s centennial celebrations of its joining Confederation (1873), Georges Arsenault formed a troupe to showcase Acadian folk dances. 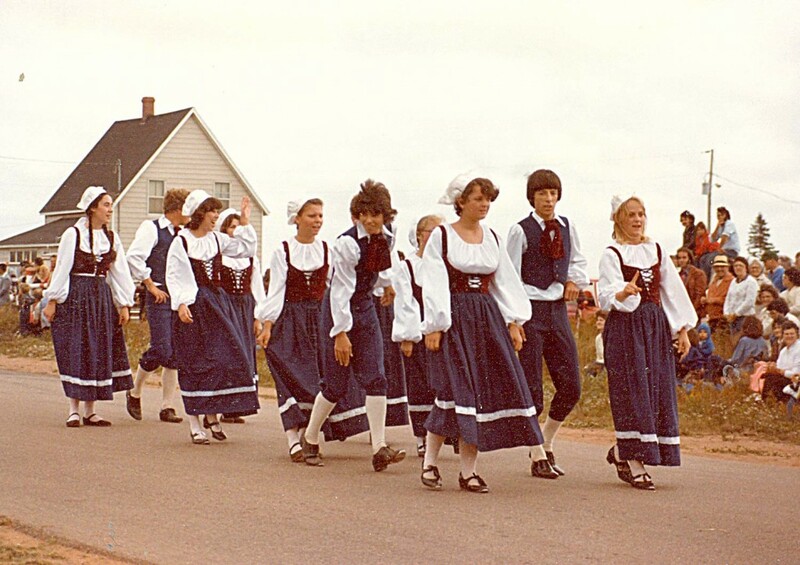 The troupe performed for the Queen’s visit to Mont-Carmel, the Frôlic acadien in Memramcook, the Festival acadien dela région Évangéline, and for Acadian parishes across the Island. 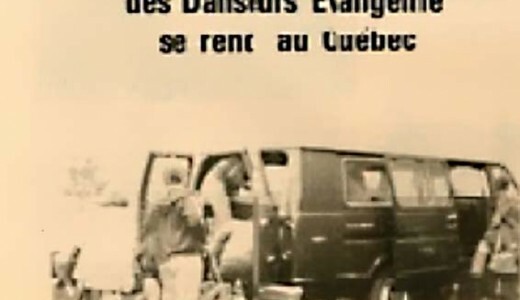 In July of 1976, three couples from the Club Ti-Pa in Tignish-Palmer Region and musicians and dancers from la region Évangéline were part of the delegation representing the province of P.E.I. at the Festival des arts populaires, held in Montreal during the 21st Olympic Games. The host of the P.E.I. program was none other than the Acadian singer Angèle Arsenault. 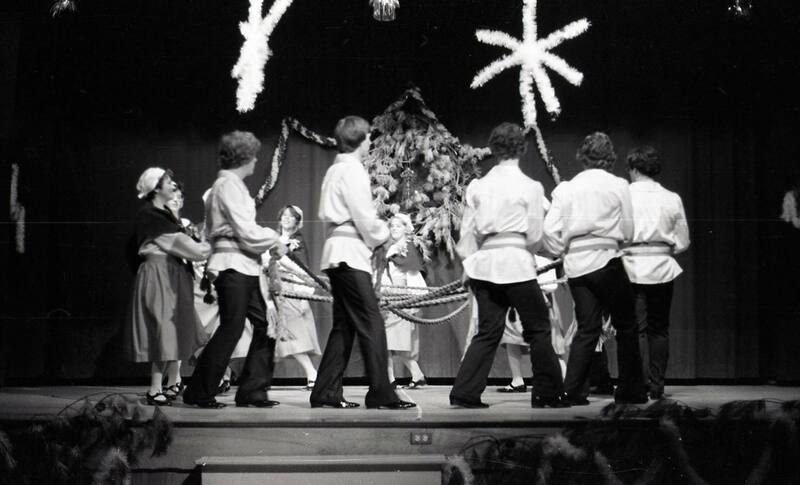 Les Danseurs Evangeline perform at the Summerside Auditorium as part of the Mardi Gras and Winter Carnival events, 1978. From right to left: Cécile Gallant, Henry Arsenault, Juliette Arsenault and Blair Arsenault. 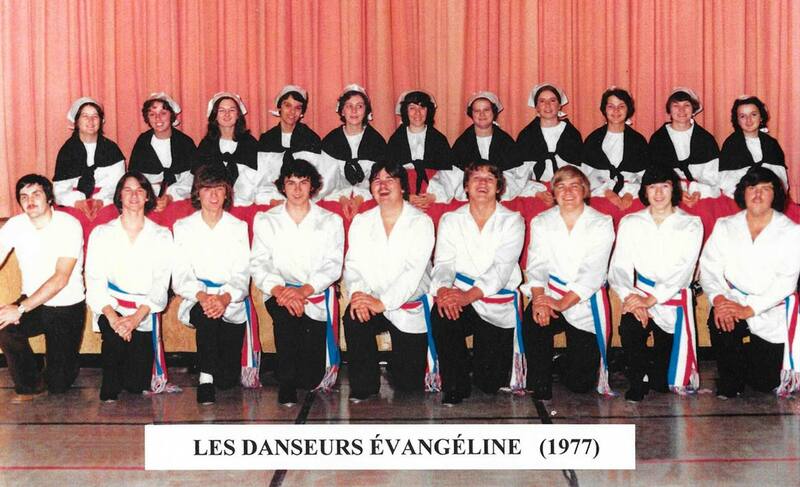 Les Danseurs Évangéline was formed the following year, in 1977, and expanded to 11 women and 9 men. The troupe quickly “became the pride and joy of the area” (Georges Arsenault, interview, 2015). 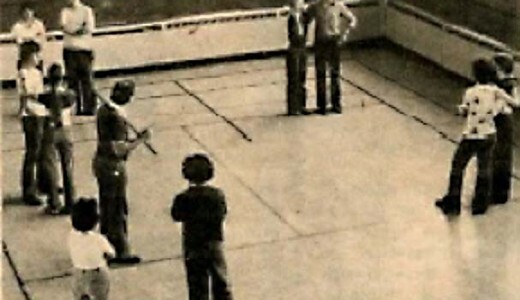 Under the direction of Père Pierre Arsenault (and, later, Sylvie Toupin), and with the help of choreographer Guy Landry, they learned new dances and practiced three nights a week. 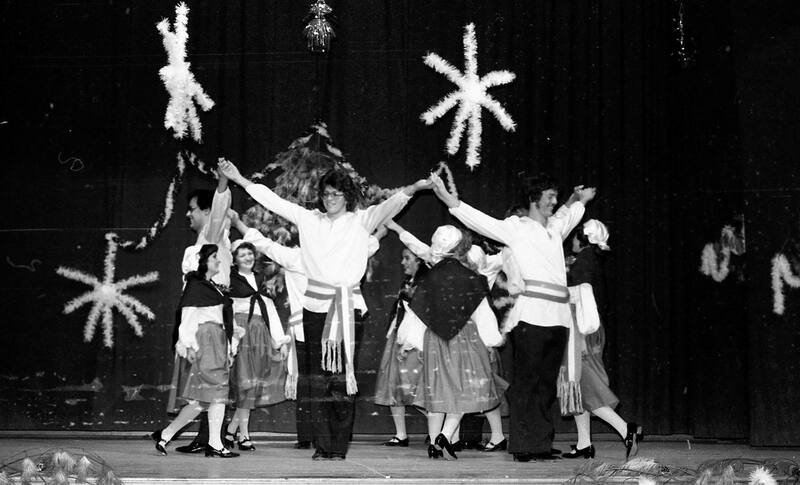 Les Danseurs Évangéline were invited to represent Canada at the 1977 Festival International des Purénées in Jaca, Spain and the Festival Rouergne in Rodez, France. In preparation for their international debut they performed across P.E.I. and New Brunswick. 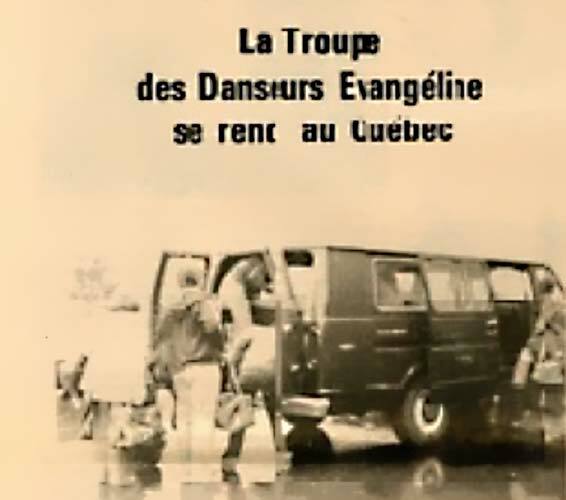 Upon their return, the troupe went on tour to Québec. 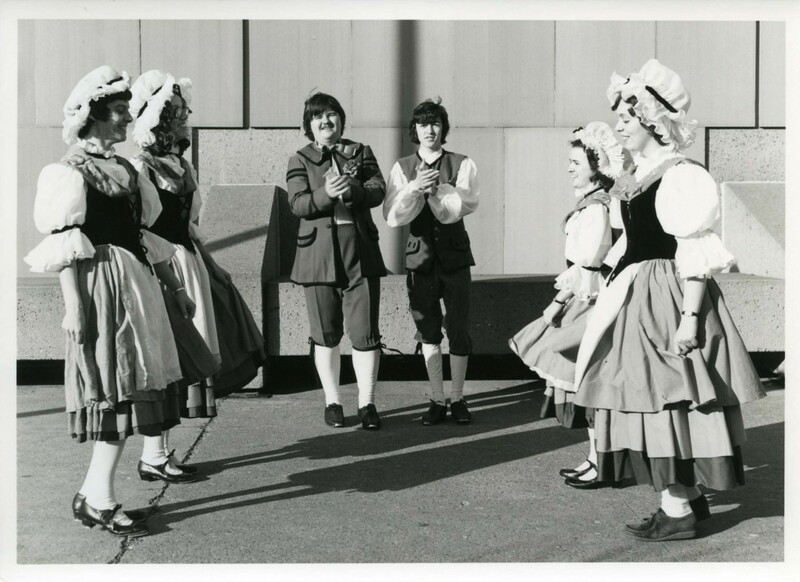 The troupe’s repertoire included a variety of “set” dances from P.E.I. and Québec. 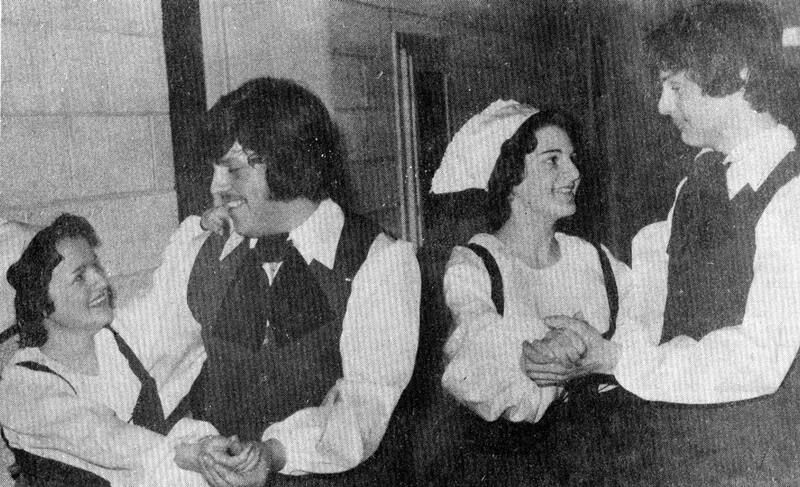 The troupe learned older Acadian dances, such as the “Quadrille de Prince-Ouest” and “Danse de la Borbis” from transcriptions made by folklorist Georges Arsenault in 1974. 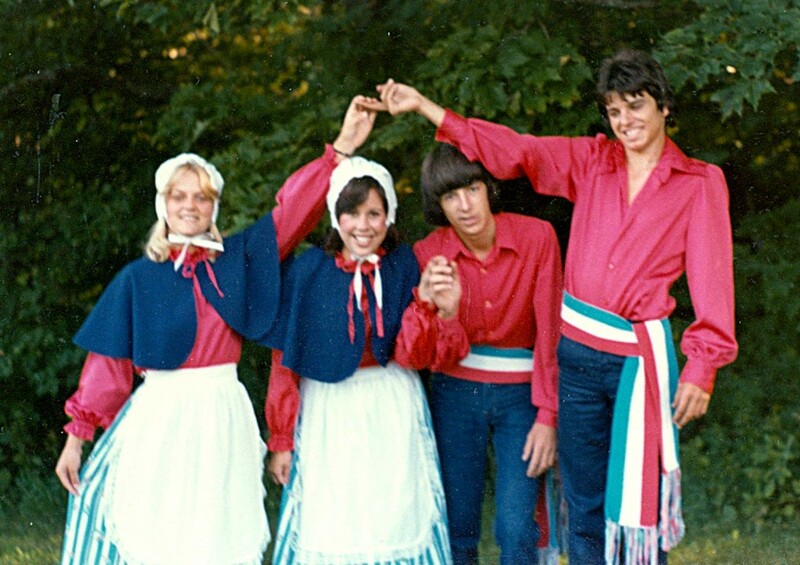 They also performed les danses chantées—dances accompanied by Acadian and Québécois folksongs—such as “la laine des moutons,” which is believed to have originated in central France (possibly the area of Auvergne). 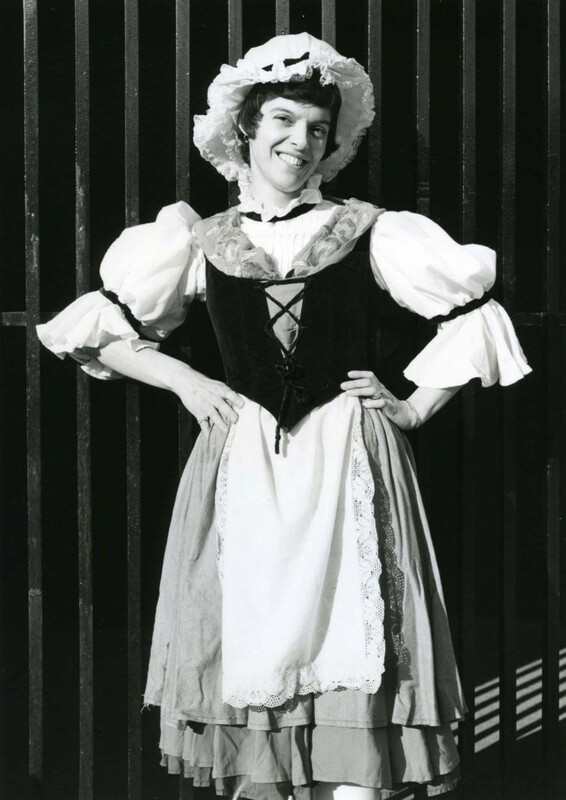 When dancer and choreographer Sylvie Toupin took over the direction of the troupe in 1981, she introduced more dances from various regions of Québec, including la quadrille de l’Ile d’Orléans, reels from Montreal, and a quadrille from the Baie St-Paul in northern Québec. Due to a lack of men in the group at the time, Toupin introduced the Québécois practice of danse assise [INSERT LINK TO OTHER PAGE ON DANSE ASSISE] or “seated step dancing” to the troupe’s repertoire, in which dancers execute synchronized step dancing patterns adapted for a seated position. Of course, the tour in Europe was amazing. Even the flight from Moncton to Paris was memorable; the musicians played all the way there, the flight attendants were dancing, etc. Once we got there, we travelled by bus. Travelling in the Pyrenees was hard ‒ the roads were winding and the precipices made us dizzy ‒ but it was an incredible experience all the same. The first night in Jaca (Spain) was so surreal that it’s indescribable! The whole city was decorated: there was a constant festive atmosphere. Even late at night, you could hear music from around the world and see elaborate costumes, each more flamboyant than the last. It was a feast for the eyes and ears … an atmosphere of friendship and celebration. During that festival, we danced on a revolving stage for thousands of people. The show was presented before a live audience and also broadcast to Spanish TV viewers from across the country. We met dancers from around the world: very nice people. We took part in various parades… Being from “Canada”, we were often placed next to “Congo” or another country beginning with the letter “C”, whose instruments were much louder than ours. It became something of a joke, because people couldn’t hear us during the parades, but they could see our smiles and our steps! The entire tour of France was memorable. Some nights, we stayed with families and were treated like dignitaries, while other nights we stayed in youth hostels. All the festivals in which we participated were different, but they were all enjoyable. 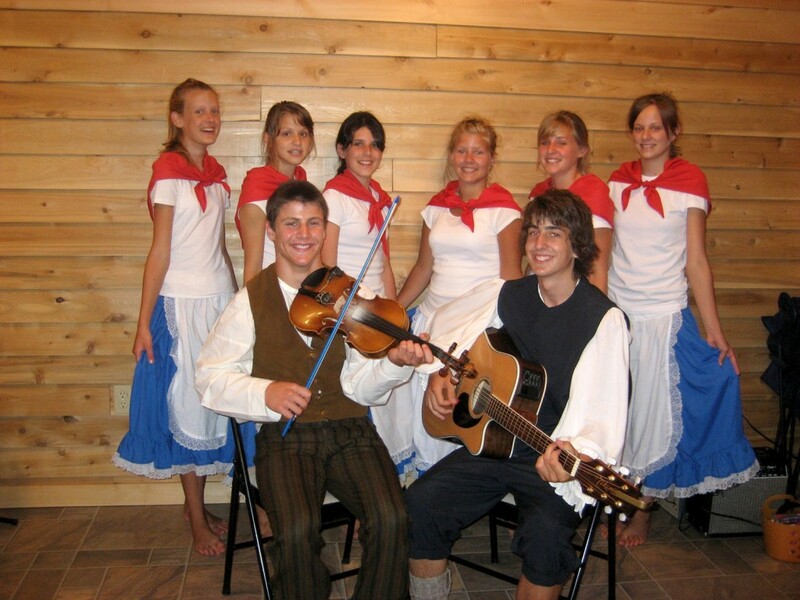 There have been many versions of a “traditional Acadian costume” adapted for performances by dance and theatre troupes over the years. Les Danseurs Évangéline had several brightly coloured costumes made locally for their performances. 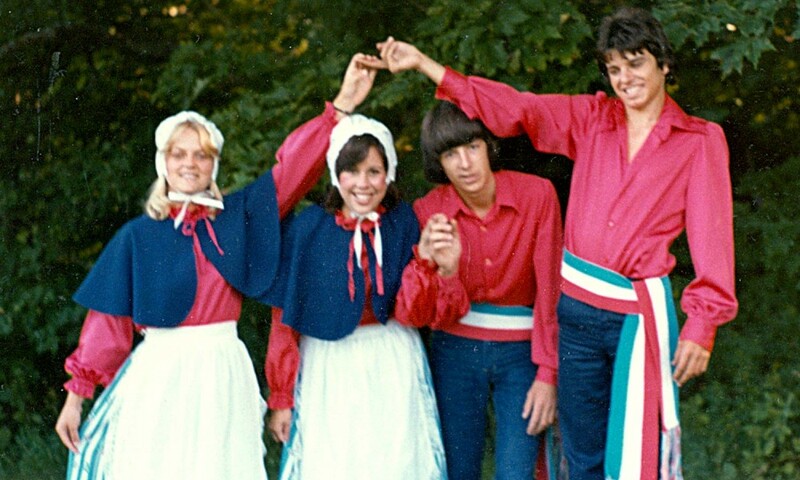 These and subsequent costumes designed by Acadian dance troupes were loosely based on 19th century Acadian dress, but it should be noted that they were not historically accurate representations of costumes worn by their Acadian ancestors. The differences in costume are most visible in the female dance costume. A popular design included a laced bodice inspired by the “Evangeline” costume, which originated in Louisiana in the 1930s. The “Evangeline” costume became popular in 1955, the bi-centennial anniversary of the Acadian Deportation (Georges Arsenault, personal communication, 2015). Another female costume consisted of a white shirt, coloured skirt covered by an apron, short cape (called a “mantelet”), and neck kerchief. Les Danseurs Évangéline in 1977 during their first performance on P.E.I. Closing concert of the Festival acadien de la région Évangéline in Abram-Village. A third costume worn by female dancers of Les Danseurs Évangéline was reproduction of a 19th century Acadian costume on display at the Village historique acadien de Caraquet (NB). The brown colour was not historically accurate, but the dresses were made on P.E.I. using cloth that was woven locally. John Lawson offers a description of the Acadian dress on P.E.I. Several members of Les Danseurs Évangéline were among the first people to teach formal dance lessons on the Island. 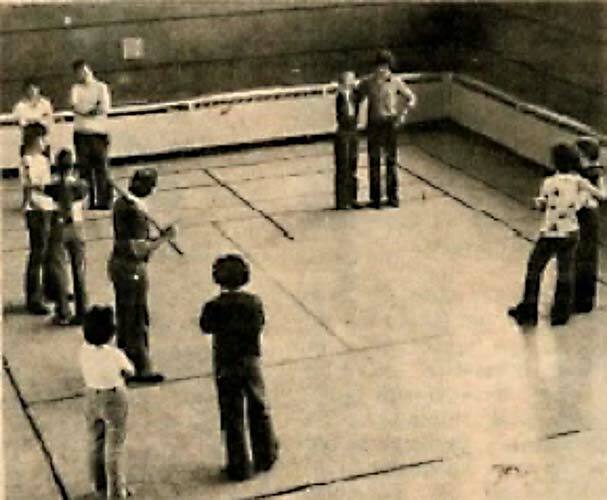 The formalization of dance lessons led to the emergence of numerous troupes comprised of their students. Angie Arsenault, Lynn Arsenault, Monique Gallant and RachelleGallant, 1990. 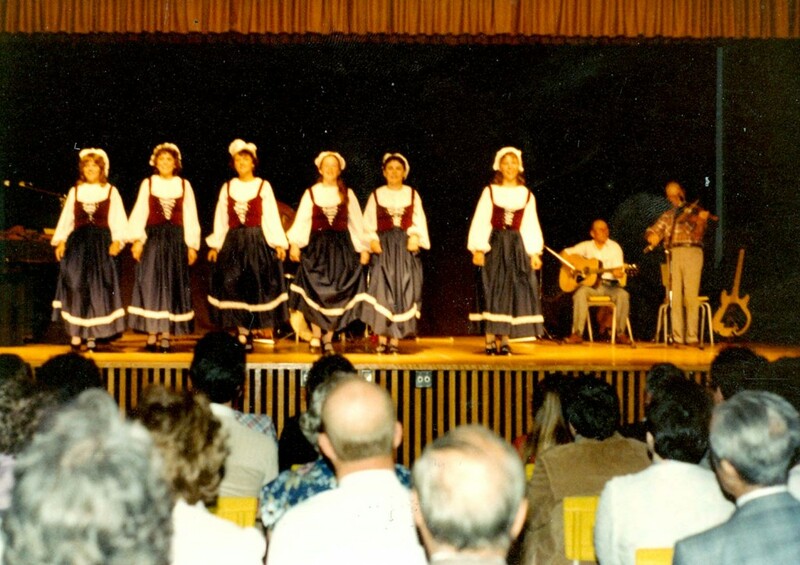 Les Étoiles du Carrefour was a traditional dance troupe directed and choreographed by Dorothy Arsenault-Ross, of les Soeurs Arsenault. 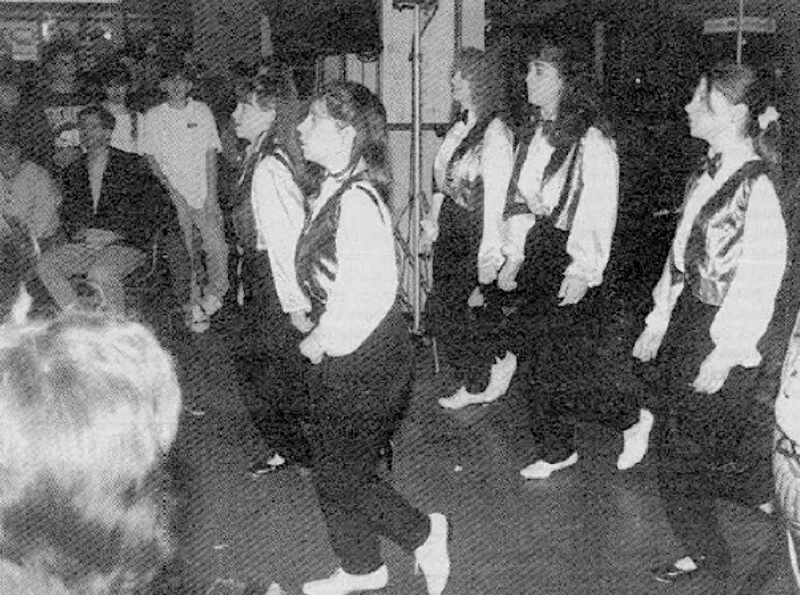 The troupe, comprised of eight girls aged 10–15 years old, are pictured here performing at the 1996 East Coast Music Awards. “J’aime à mélanger les styles, et j’aime les danses acadiennes. 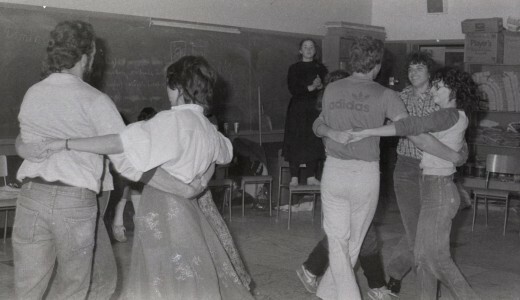 Le style acadien, pour moi, c’est du step dance et c’estvite,” explains Dorothy, in an interview with Jacinthe LaForest of La Voix Acadienne (10 April 1996). In the 1st row (right to left): Christine Allain and Marie-Lyne Belliveau. In the 2nd row: Nathalie Arsenault, Geneviève Morin and Dorothy Ross. Les Étoiles du Carrefour, La Voix Acadienne, 10 April 1996. Les Pas d’Folies emerged in the early 1990s under the direction of Helen Bergeron. In 1995 and 1996, the troupe hosted the Festival mondial de danse de l’Île-du-Prince-Édouard (now the Festival mondial des cultures). Helen choreographed several danse assise numbers for the troupe, much to the delight of audiences. Some members of the troupe Les Pas d’Folies, 1994. Formed in 1998 and directed by Monic Gallant, this troupe of 9 young women and 2 young men dazzled audiences with their solo, duo and full group synchronized step dancing, choreographed performances and dinner theatre shows, accompanied by musicians Gary Gallant, Anastasia DesRoches, and Mylène Ouellette. As reporter Amélie Marceau described, “Talididanse montre des chorégraphies époustouflantes. Les partenaires se croisent, forment le rond et tournent tous en harmonie au son de leurs claquettes” (“Talididanse: la troupe à talents qui en a dedans,” La Voix Acadienne, 16 July 2003, p. 7). 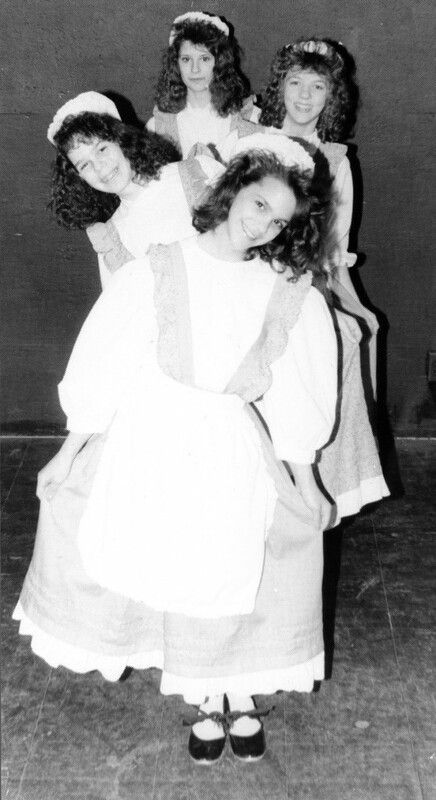 In 1999, the troupe won multiple honours at the Provincial dance festival in Kensington, P.E.I.